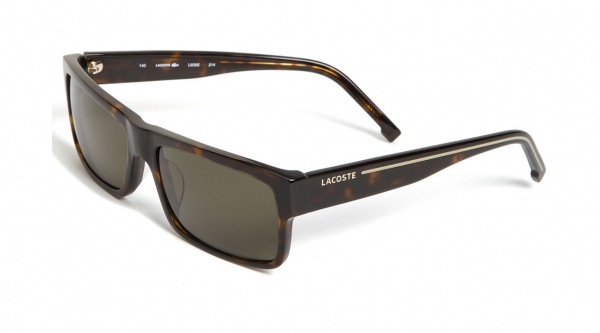 Lacoste goes for the low key approach with this pair of rectangle sunglasses. A very dark tortoiseshell pattern decorates the thick frames, while silver Lacoste branding on the arms finishes the look off. You can find these sunglasses available online now.